Mark Atia is a registered social worker (RSW) who completed his Masters of Social Work degree (MSW) at the University Of Windsor. He earned his Bachelor’s degree in Psychology from Graceland University in Iowa, USA. 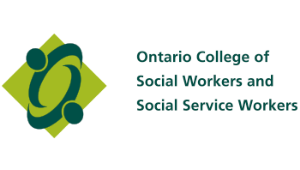 Mark is accredited and licensed by the Ontario College of Social Workers and Social Service Workers (OCSWSSW). Mark has over 15 years of counselling experience within the mental health and social services fields. He has worked in a variety of settings including group homes, youth shelters, hospitals, addiction centres, secondary and post-secondary institutions. Mark has worked with children, adolescents, adults, and seniors. Mark also has expertise in counselling athletes who face challenges both on and off the field. He played in a USA D1 NAIA Varsity soccer program while on a soccer scholarship and played in the Canadian Professional Soccer League. Mark has the unique ability to combine both his playing experiences with his professional counselling expertise to help guide athletes navigate their challenges. Currently, Mark is the assistant coach of Ryerson University’s Men’s Soccer team. In 2008, Mark started his private practice to focus on his primary clinical interests including anger management, stress management, adjustment issues, interpersonal and relationship difficulties, conflict resolution within a domestic or professional setting, and drug/alcohol counselling. Mark provides individual therapy to older adolescents and adults. Mark Atia’s primary theoretical orientation is Solution-Focused Brief Therapy (SFBT), although he integrates complementary methodologies and techniques such as Cognitive Behaviour Therapy (CBT) to offer a personalized approach tailored to each client. His background and training have shaped his interest in promoting improved mental health, interpersonal functioning and wellness. Through his tailored therapeutic dialogue, Mark works with clients to help them build on their strengths and attain personal goals.